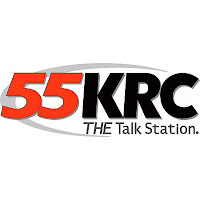 * March 2018, Renee Vincent interviews with Northern Kentucky University! I'm thrilled to announce that the documentary video from Northern Kentucky University, my alma mater, is available for the world to see! I'm super proud of the work that the NKU students and staff did to bring the story of my writing journey to life, and I hope you'll take a few moments to watch. 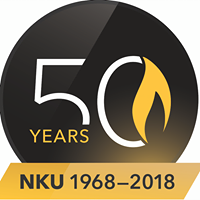 I must admit, this video brought me to tears many times, but it's mostly because I was moved by the collaboration of so many gracious people at NKU. This video is a MUST-SEE! 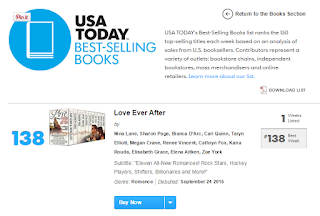 * September 2015, Renee Vincent is a USA TODAY Bestselling Author! As some of you may have heard, I received the most exciting news! Our InkHeart LOVE EVER AFTER Boxed Set made the USA Today bestsellers list at #138! And it's all because of you! Understand this...to make the list, a book must be one of the top 150 bestselling books for that week between Monday and Sunday. This is HUGE because there are millions of books out there that we are up against and we came out smiling. To be truthful, I came out screaming, then laughing, and after much rejoicing, I broke down and cried. And there is NO ONE I owe more gratitude toward than YOU, my amazing fans! This is a dream come true for me. Seriously. I have worked so hard for this day and I totally owe it all to you. Thank you so much for purchasing our boxed set and helping me make my dreams come true!!!! * July 2013, Renee Vincent is on the cover of a romance novel! But this takes the cake! That's me, with cover model Billy Freda, on an actual romance novel cover. This book was a RITA finalist from author Shelly Thacker. Cover Design and photography by Kim Killion at The Killion Group Inc.
RÆLIKSEN (the first book of my Viking romance series) received a mention in USA Today as Jessie Potts, Happy Ever After reviewer, describes her top three favorite Viking Romances in the "Thursday Throwback." I had been horseback riding for 5 days when this came to be and I had no idea it was even in the making until I came home and found my inbox full of emails from my most loyal fans, letting me know of its appearance. Honestly, I could hardly believe it until I clicked the link. There, in all its glory, alongside the talented works of authors Jianne Carlo and Sandra Hill, was my book. What an honor!